Kuala Lumpur city scape during haze sunset. Time lapse HD footage. 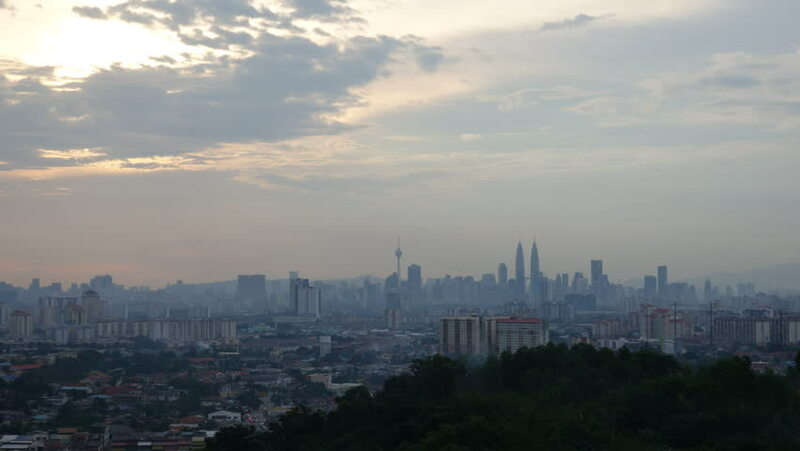 4k00:13Time lapse: Silhouette of Kuala Lumpur city view during dawn overlooking the city skyline from afar with lushes green in the foreground. Federal Territory, Malaysia. 4k00:124k UHD establishing cinematic b-roll shot of sunrise scene at Kuala Lumpur city skyline during hazy and misty season. hd00:08Time lapse of sunrise of Kuala Lumpur cityscape skyline in silhouette. High quality, HD, SOOC.